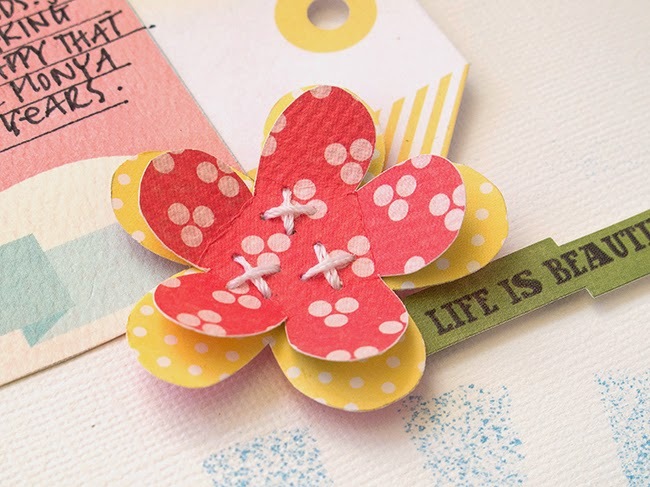 With spring in the air...I thought it might be fun to share this page I created for my article written about Paper flowers for the May/June 2013 issue of +Creating Keepsakes magazine. 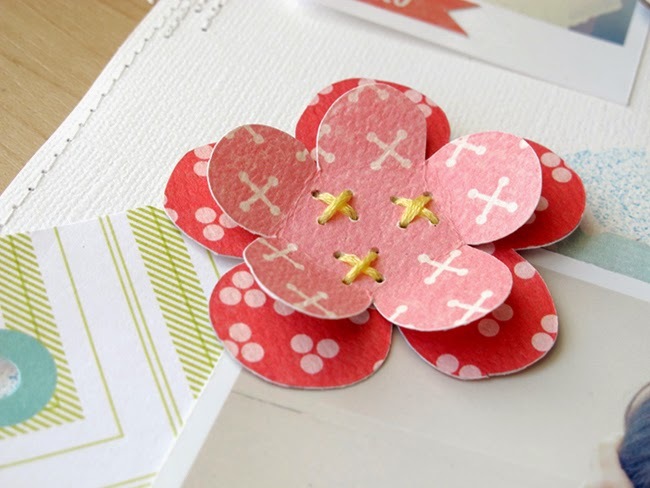 Paper flowers like these are so easy & fun to make, adding super dimension & a crafty edge to any project. Held together by x3 cross stitches, tell they aren't the cutest thing?? 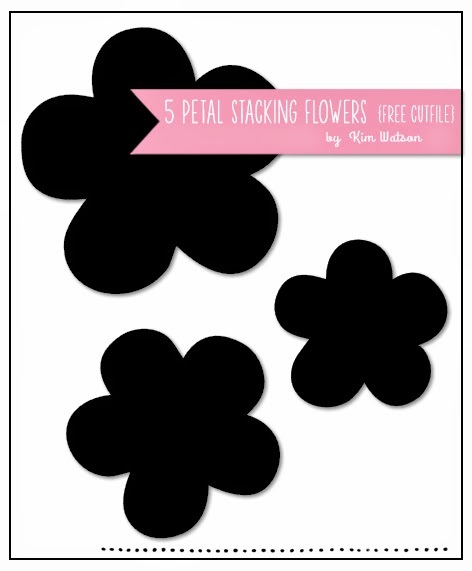 Using the FREE cutfile I provided below...cut x6 different sizes flower shapes in a variety of colors. Layer x2 flowers, the smaller size on top. Hold securely & stitch together. 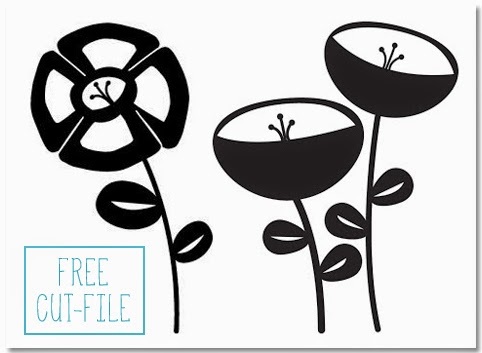 These are x2 cute FREE flower cut files from Jennifer Stricker, check out her crafty blog.